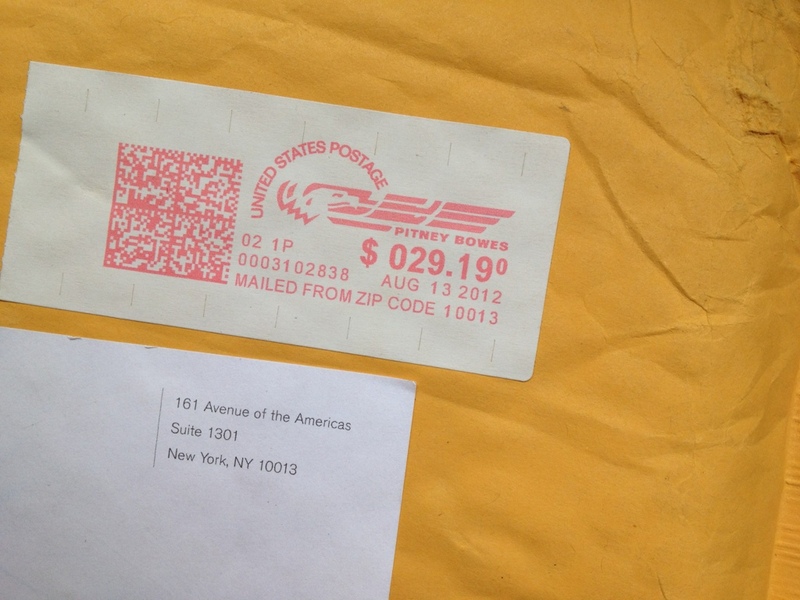 I never usually win when I enter prize draws, raffles or lotteries but I’ve received two prizes in a week! Woo hoo! 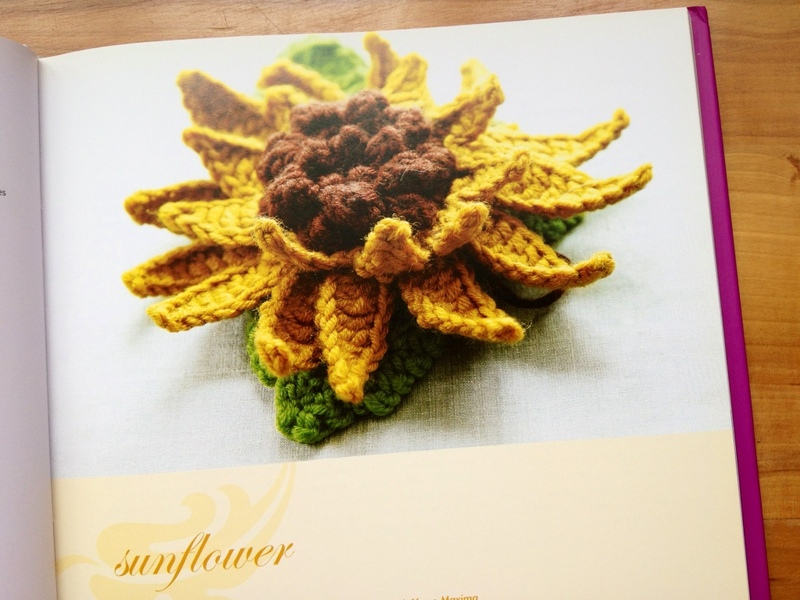 It was hard trying to pick my favourite patterns to show you but I narrowed it down to the sunflower from the crochet flowers book, and the log cabin block (love this!) and paisley motif from the Vogue crochet stitchionary. 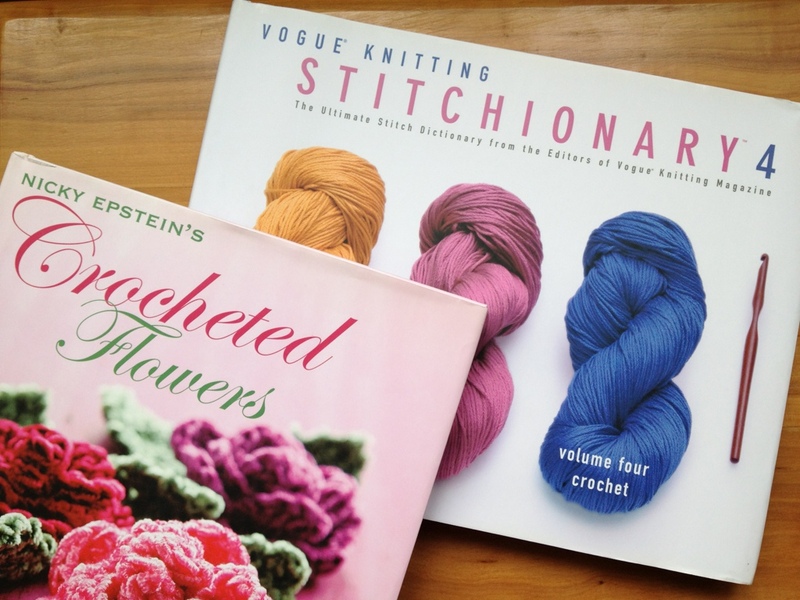 What is immediately impressive about both books is that they have written and diagram patterns; so although the stitches are in USA crochet terms they are easy to use whatever you are used to. Plus it should get me used to the symbols as well. 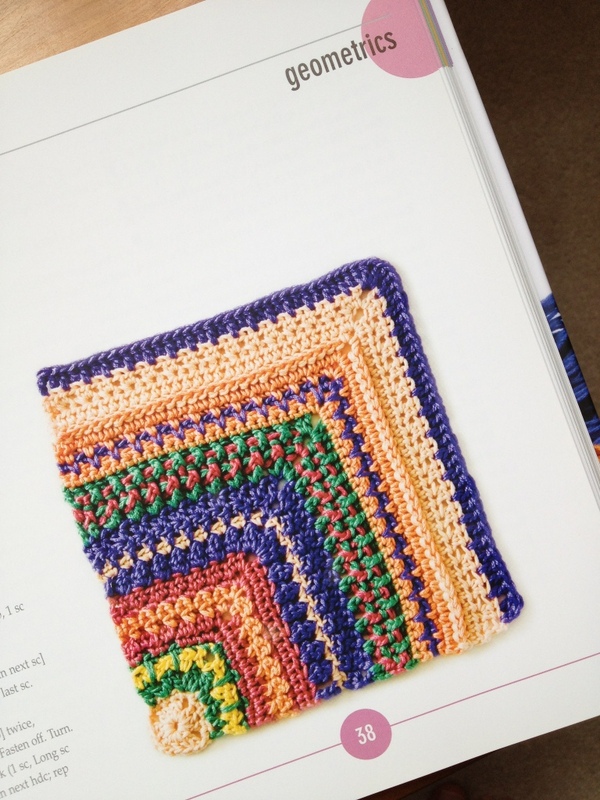 I still have my Japanese and Chinese crochet books to play with at some point. I’ll be back on Tuesday with the results of the CAL theme vote (still getting votes every day!) 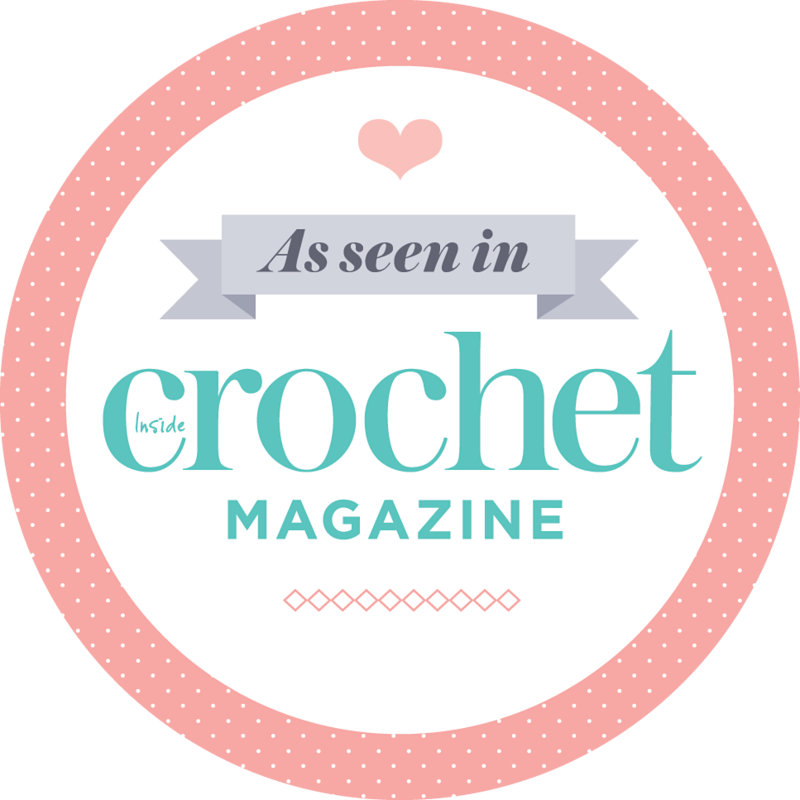 and a link you can put on your blog if I sort out the technology. Happy (bank holiday) weekend everyone! Look like lovely books. Must check them out. Ooh how exciting! Congrats on your win(s) hopefully more luck will be coming your way! I’m looking forward to seeing the CAL theme results (fingers crossed it can incorporate red and white!) I have my book now!!! I agree with you on the log cabin square. It starts off as a circle! And all those textures! I saw that Stitionary 4 at the library. Very, very nice!